Last night, the Government won the support of the House of Commons for its policy programme as set out in the Queen’s Speech. The priorities of the new government are clear: recognising and grasping the opportunities for the United Kingdom as the country leaves the European Union; delivering a Brexit deal that works for all parts of the UK; and building a stronger, fairer country by strengthening our economy, tackling injustice and promoting opportunity and aspiration. As civil servants, our duty is unchanged, and we will work to support these priorities and implement the elected government’s policies. Earlier this week the Conservative Party and the Democratic Unionist Party (DUP) reached a political agreement in which the DUP agreed to support the Government on key votes in Parliament. This is known as a ‘supply and confidence’ arrangement, the details of which are published here. To support this arrangement, the Cabinet Office will establish a coordination committee, attended by members of the Government and the DUP. With negotiations for the UK’s exit from the European Union now fully under way, the country finds itself at a crucial milestone following last year’s referendum. This is an historic responsibility for the Civil Service. As I’ve said before, though the task ahead is daunting I am certain we have the experience and expertise to help the Government in delivering the best deal for the country from those negotiations. 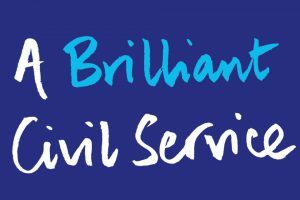 Our vision of ‘A Brilliant Civil Service’ is more important than ever. 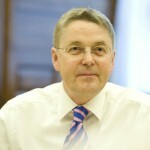 Whether a long-time civil servant or one of our many new recruits, as we serve the Government we must continue to build our skills and capability as an organisation and make sure our culture as an organisation provides the best possible support to the new government as we seek to put its policies into action. We may have a new government with a new programme, but the organisational and managerial priorities of the Civil Service Board remain as relevant as ever. We will continue to work towards a more open and diverse Civil Service and becoming the most inclusive employer in the UK by 2020. At the same time, we will keep our focus on raising civil servants’ capability in vital areas such as digital and commercial. While, of course, we face unprecedented pressures, I have every confidence that the Civil Service will rise to the challenge of supporting the Government as it embarks on its new programme. Sir Jeremy rightly stresses both the importance of digital and becoming more open, diverse, and inclusive. Why not start at permanent secretary level? Around 17% of female and 16% of male digital staff are from a BAME background (source: BCS - The Chartered Instituite for IT: Women in IT Scorecard 2016). But when a permanent secretary shows up to give a speech at a digital event the BAME delegates are only a few percentage points. They aren't even reaching the door! As one example, GDS accurately say ""it was noted that there is still a lot of work to do in terms of addressing the cultural make-up of the attendees" yet for the same event a permanent secretary declares "it was inclusive". This isn't an isolated example and civil servants like myself feel excluded, because it seems we are. As Head of the Civil Service - that you are confident has experience and expertise, and which continues to build its skills and capability - can I ask please what, if any, representations you will be making on our behalf to end the public sector pay cap? I agree with many of your thoughts in this blog, in particular the challenges we will shortly be facing. But (there's always a "but") I respectfully ask, as the head of the Civil Service, what steps are you taking to try and gain a cost of living rise for the staff that have taken steps to "build our skills and capability as an organisation"? Talking about fairness and tackling injustice , would it be fair to say that the case for removing the pay cap is now becoming irresistible? Will "a fairer country" see action taken on pay progression, where people are currently paid less than the people sat next to them despite doing the same job to the same standard. New government, no change in policies and therefore no positive changes for the Civil Service.